VIRGINIA BEACH, Va., (November 29, 2016) - There is nothing quite like the scent of fresh pine wafting through your home when you put up a real Christmas tree. Some families make a day of it and travel miles for the best tree lots and wander through rows of trees to find just the right one while others select an artificial tree. No matter which tradition you follow, it’s important to put safety first to protect yourself and the tree that you’ve chosen. After you’ve selected the perfect tree, you will want to make sure you get it home in one piece. Before you leave the lot, make sure the tree is properly netted to help prevent damage to the foliage and make it easier to carry. Place a tarp or blanket in the cargo area or on the roof to protect your vehicle from needles or scratches. If you are transporting the tree on your roof rack, the trunk should be facing front to reduce wind damage. 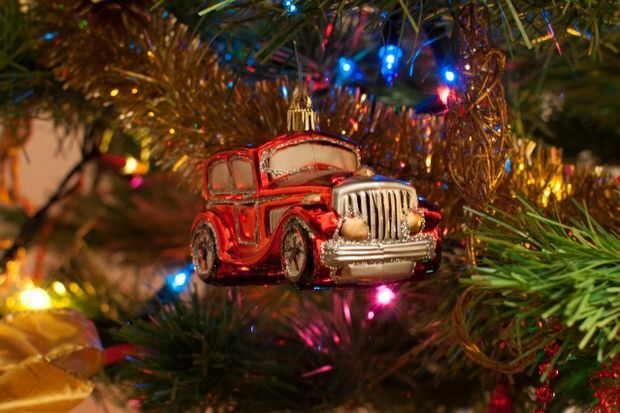 Be certain that you have enough rope or cord to wrap around the tree and secure it to the roof rack or cargo hooks. It is not a good idea to tie a tree on a roof without one of these features. If your vehicle is not capable, scout around for lots or farms that deliver trees. Before leaving the lot, make sure the tree is secure. Drive slowly and try to avoid the Interstate, especially if you are not used to hauling heavy items on your roof. It can affect your vehicle’s center of gravity, making it difficult to handle in emergency situations. Once home, bring your tree inside, and place it in the stand. Check to make sure the tree is standing straight so it doesn’t fall over later. Add some water, then cut the netting. Give the branches some time to fall, and you’re ready to begin decorating!